Thousands of students in DC Public Schools are suspended every year. Moreover, contrary to DC law, DCPS appears to be imposing harsher than necessary sentences, and due process is often missing. A brand new resource seeks to protect individual students’ rights and “create a meaningful dialogue with DCPS” about the suspension process, alternative approaches to discipline, and related issues. The Students Rights Alliance is a joint project of the American Civil Liberties-National Capital Area and UDC’s David A. Clarke School of Law along with American University’s Washington College of Law. 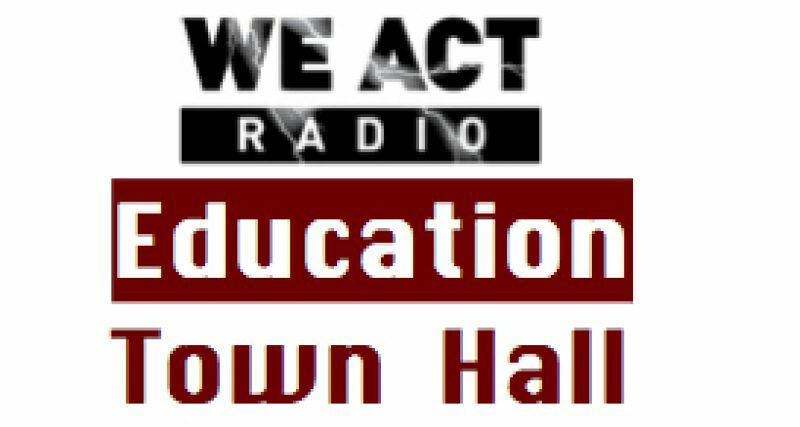 Geno Donney, deputy director of Took-Crowell Institute for At-Risk Youth at UDC’s law school, discussed the program on today’s Education Town Hall. The Student Rights Alliance segment begins just after the station break — full recording here. The Student Rights Alliance (SRA) is an outgrowth of the Every Student, Every Day Coalition. It seeks to connect DCPS middle-schoolers and high school students with legal advice, and it provides interactive resources for those seeking basic information about student rights and how to protect them. Donney told host Thomas Byrd that DCPS doesn’t currently follow DC law when it comes to suspending students and has a “chronic policy of over-charging” students, i.e., handing out harsher than necessary punishments. Students with special education needs are particularly hard hit: they are suspended at three time the rate of students without IEPs, Donney reports, and “the extra set of procedural safeguards” for such students are often overlooked. DCPS was not available to join this discussion. The brand new website — launched just last week — is of use to any student facing suspension, to any student who wants to know more about their rights in general, and to all who care about District students. Please share this important new resource. Blog comments and guest posts are also welcome.